if it continues to destroy businesses. they must go and learn. political partisan mind; and in my day, I say no to them. a monarchy, it’s a presidential system. you are trying to bring other people’s businesses down. do it to please the citizenry and not themselves. people attack people, what is the Commission of Inquiry? order? Why don’t you give the person out to the law? 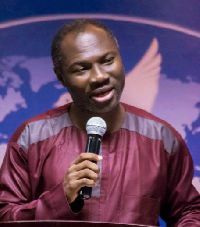 show you that Ghana is for the Church. what they were doing against you, you better stop.